If anyone is interested in a small (120 mm x 24 mm diameter or 4.72 x 0.94 inches) very bright great quality flashlight this is for you. This is not a cheap piece of Chinese junk. 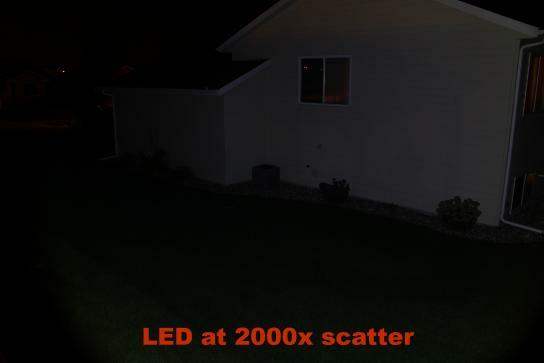 The light was designed by a group of flashlight crazies scattered around the US and Europe. They all belong to the Budget Light Forum, one of a few forums that cater to folks who are crazy about bright flashlights. They negotiated manufacture to their demanding specs with a Chinese manufacturer. The lights are being sold through a Chinese based web vendor with a special discount code. $40 to the general public; $25 with discount. This group deal may terminate any time, but the response has been great so who knows when it may stop. One warning; the light uses an 18650 size Litium Ion cell (battery). This is rechargeable, so you need a charger. AA size batteries will not work. The light uses a copper printed circuit board for better heat dissipation, not many lights do especially cheap ones. How bright? On turbo with a good 18650 it's about 1200 - 1400 lumens. Real lumens, not the exagerated lumens we see on cheap ebay, etc websites. Less than a minute at that brightness. User programmable to either 4 or 7 levels that go on down to what is called moonlight. To get the discount code you need to be a member of the Budget Light Forum. That's easy and free just like here. The registration button may be hard to find. They have it in the left sidebar, part way down the page. Once registered go to this topic. Send a PM to bugsy to get the discount code. Then go to Banggood.com Order a light or two, or.... Apply the discount code in the checkout process and a discount gets applied to make the cost per unit $25. Standard two to three week shipping is free. Optional shipping is faster and costs extra. You get to choose the tint or color temperature of the light. Tint 5A is the warmest at 4000 degrees K. Tint 3D is 5000K and tint 1A is 6500 K. If you aren't sure what that means this may help. Tint 1A usually has the highest lumen output. But I like 3D best of the three offerings. I got one in July and ordered a couple more today and thought maybe someone here could be interested. 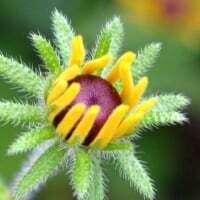 It looks cool, I might be interested. Could we see a real world pic of the light beam though? I like to lay mine down and go to work. Most small flashlights are like a "spotlight" and you can't light a work area without being too far back to reach your project. Those huge 6v lantern-battery style flashlights are big, but at least they spread the light nice. I left mine at the cabin, and will retrieve it in 10-14 days. Shall do a beam shot then. That would be awesome, thanks man. I haven't looked at the topic on the flashlight forum for over a week and I see some distressing news. It seems there are a number of buyers who have had issues with the last group shipped. Some folks are happy as a pig in slop and others have had DOA's. Most of the DOA's have been owner fixed... cold solder joints. So now I wonder? I have one more coming and we'll see how it works. It will be interesting to compare the two. For those who don't need the brightest spot light, Hunt for a coupon for a free Harbor Freight Flashlight. Very functional, long lasting, comes with junk batteries and lasts so long it's now screwed together, but there are 3 'AAA's inside in a spring loaded clip. The harbor freight one is ok, but not quite what I want either. Basically my issue with flashlights is they want to maximize their ratings, so they concentrate the light. I have even seen flashlights that boast "Blinding bright light". Seriously? What I want and need is even light. The same lumens at the edge as in the center. Otherwise your eyes adjust to the brightest light, and blinds you to the dimly lit parts. I have never seen a flashlight that bragged "even illumination". It's all about lumen bragging rights at the center for them. Back to the harbor freight light, it just doesn't throw light far enough to impress me. I want to be impressed. My vision is one of these powerful flashlights with a lens that spreads the light evenly across an area. I know spreading the light means dimming the light, but I believe my vision is possible. I just haven't seen it yet. Actually it appears you bought 4. There is a "4 count" icon on the main graphic. 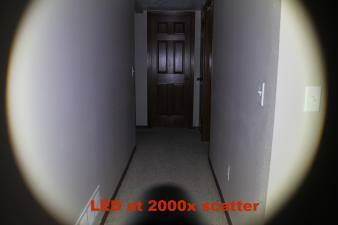 The claimed 2000 lumen output is very suspect. A Google for "BYBlight flashlight found this and this. Both claim 150 lumens. They appear to be the same light though the zoom markings are slightly different.... The 150 lm will be for the AAA I'm pretty sure. It will be brighter on a Li-Ion but I still think 2000 lm is a big stretch. The text states that the 26650 Li-Ion is included. I wonder if it's one cell or one per light. If the Li-Ion is included the advertised 6800 mAh rating is also suspect. UltraFire brand batteries are known for their false claims. It is an unprotected cell so if it is included you will have to be careful about over discharge. At least I doubt the light has a low volt cutoff circuit. Most cheap lights do not. Overdischarge damages a Li-Ion cell and can make them susceptible to becoming road flares when charged. Just be aware. And you'll need a charger for it. (there are cells with protection circuits built into them... great for non protected lights. It will be interesting to see how the light works. Yea I am fully expecting the 2000 lumen rating is a lie. But many of the reviewers are amazed at how bright it is. And my main requirement isn't brightness anyway, it's just even light at whatever lumens I get. I am also suspect of the "4 count" icon since none of the reviewers refer to their purchase as plurals. But advertising lies aside, I think it's everything I want in a flashlight. How do you tell the protected batteries? I think they are longer, correct? I think they are longer, correct? Yes they are longer. Protected cells have a "button" top on the positive end, similar to a AA cell. Some lights can not take the extra length and must use non-protected cells. Here is a link on Is My Battery/Cell Protected? Here's a link to The Anatomy of a Protected Cell. Same guy. He has done a lot of testing / reviewing of batteries and flashlights. He's in Denmark. I saw a topic in one of the f-light forums once where the person wanted a lot of flood. Had no interest in throw. He disassembled the light and sanded the reflector. Then spray painted it with some silvery paint. He said it suited him fine. FWIW. An orange peel reflector has more flood than a smooth mirror reflector BTW. Thanks for the info. I think messing with the reflectors would work great for a flashlight with an incandescent bulb that emits in all directions. 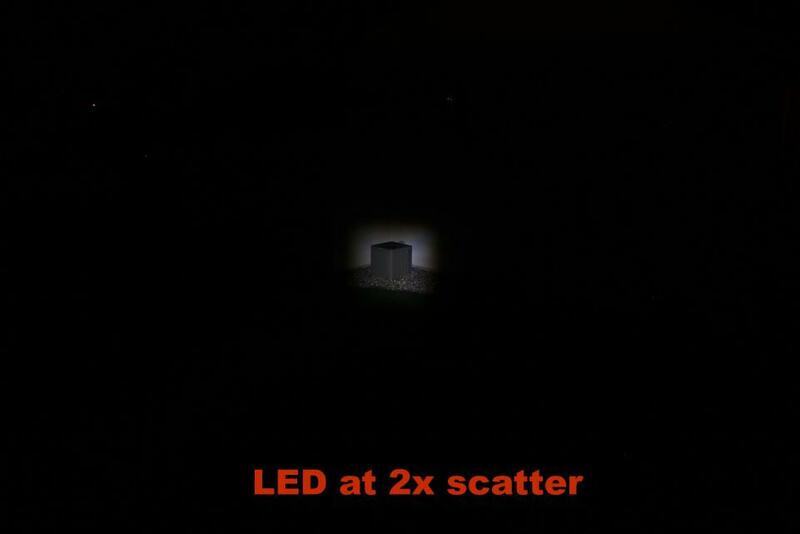 But LEDs emit most of their light in one direction, never making contact with the reflector. 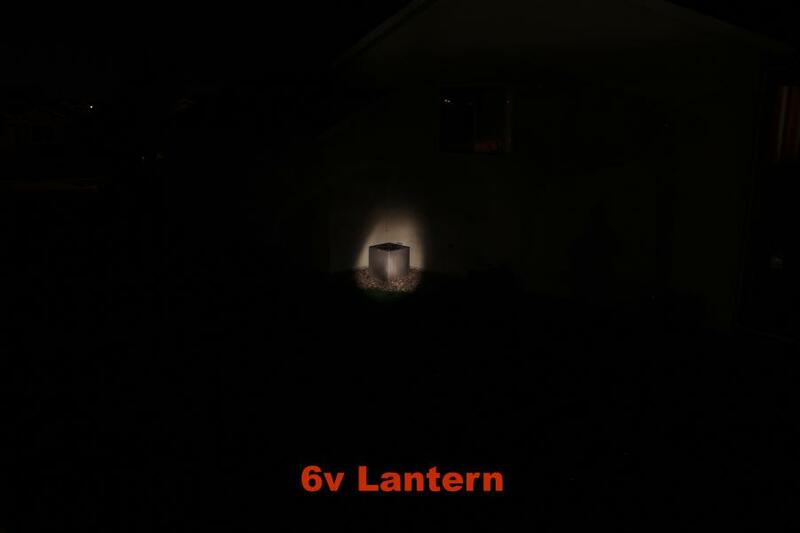 So now that you mention it, that's probably why I enjoy the 6v lantern style ones, so much light hits the reflector. My beef seems to be with LEDs that don't use lenses to expand the corona. Personally, while I like protable sun type flashlights... I have ended up figuring out having a small flashlight and a couple AA or AAA batteries in my wallet giving me 24 to 120 hours of flashlight time (depending on high/low setting on flashlight) is better than having a C or D 8 cell light back at the house. Or go with a AA or 2x CR123 Lithium flashlight if you need more light/longer operation on a set of batteries (also ~660+ lumens on high for >60 minutes). A pack of 48 AA or AAA batteries for something like $15 from Costco--Will give you 10 years of lighting pretty easily (store batteries cool/dry place). For close work where you need a fairly broad and uniform illumination, either a "mule" (no optics whatsoever) or a "lenser" (zoomable lens in front of the LED, with no light coming via a reflector) seems to be the best that you can get. ...and as most of us in the country know, you normally don't need a flash light for getting around in the night. It's all those bright lights that don't allow your eyes to adjust. I use to walk a couple miles in the evening when in Florida in dirt roads with no problems. I took only a clip on reading light on my 8 month bicycle trip, camping out, I only felt the need for a flashlight when there were bright lights around. ... it's hard to beat a headlamp with a variable output. Josh, if that light doesn't fill the bill maybe a light with a lens like one of these would do what you want? Click on the "details" to see beam shots. That lens is for triple LED's but there are also ones for singles. Cool lenses, thanks. I will post some beam shots (probably Saturday) after I get the flashlights. I'm kicking around the idea of building one as a bike light; wider beam with about 5 user selectable levels. Have not pulled the trigger yet though. That's the kind of thing 3D printers are super handy for. Take a couple measurements from your favorite flashlight, and a couple from the bike's handlebars, and bingo. I nice, thick, plastic bracket to marry the two... If you like being creative, and can learn a bit of CAD, they are awesome. As promised, here are some pictures. They are actually the same size, I'm not sure why the forum varies so widely pic to pic. FYI - I only got one flashlight, the (4 count) icon was a lie as expected. So was the 2000 lumens. It's not what I consider bright. It is however, what I was expecting. It is perfect for complete darkness because it lights as little or as much as I want. But there is a downside I wasn't thinking about before. In dimly lit conditions (like twilight) it is pretty much useless. 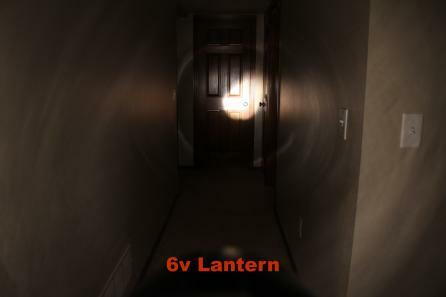 Your eyes are adjusted to a certain level already, and the flashlight can not boost the light level. So I think I will keep it, but I am interested in a better one for my next purchase. Well, over the weekend I just about convinced myself to build a small light with an elliptical optic to gain more "flood". That would have sufficient levels from moonlight to scorched earth to keep me happy in pretty much any situation. If I don't like it I can always change the lens for a more conventional beam pattern or try one of the slightly frosted ones for wider area dispersion. The optics are only $1.50 so I am thinking of buying 2 or 3 different ones at the git-go. Maybe I'll decide today! ?